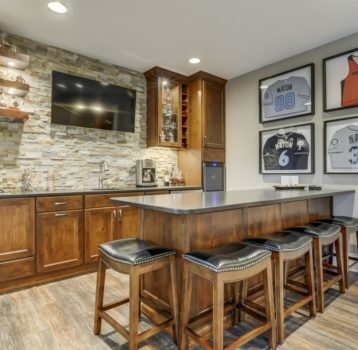 Our homeowner’s passion for football and all things Texan provided the vision for this personal sports bar with family friendly space. 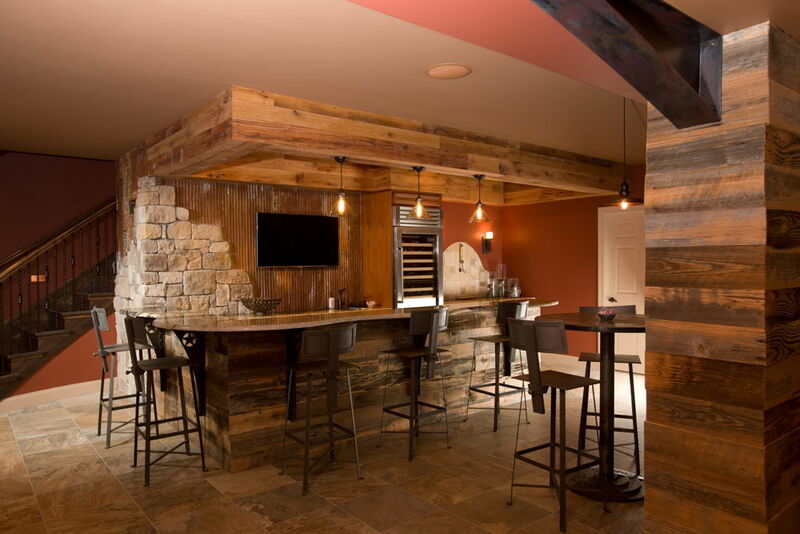 Rusted corrugated steel behind the bar creates a dramatic contrast with the high end appliances and flat screen monitor; reclaimed planks at soffit and leg area of bar show natural weathering; dry stacked stone and Alamo inspired tile work drive home the theme. 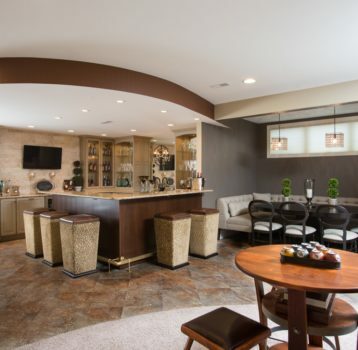 Reclaimed planks create faux pillars (steel beam above) to frame children’s area. Stone fireplace and reclaimed timber mantle hold the 72” screen. 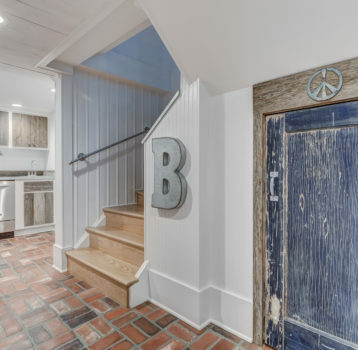 Favorite details – steel countertop supports with stars and rivets, strapping on mantle, niches for candles.